The Prehistory of North Africa spans the period of earliest human presence in the region to the beginning of the Early Dynastic Period of Egypt in c. 3.100 BC. Human habitation in North Africa has been greatly influenced by the climate of the Sahara, which has undergone enormous variations between wet and dry over the last few hundred thousand years. This is due to a 41.000-year cycle in which the tilt of the earth changes between 22° and 24.5°. At present (2.000 AD), we are in a dry period, but it is expected that the Sahara will become green again in 15.000 years (17.000 AD). During the last glacial period, the Sahara was much larger than it is today, extending south beyond its current boundaries. The end of the glacial period brought more rain to the Sahara, from about 8.000 BC to 6.000 BC, perhaps because of low pressure areas over the collapsing ice sheets to the north. Once the ice sheets were gone, the northern Sahara dried out. In the southern Sahara, the drying trend was initially counteracted by the monsoon, which brought rain further north than it does today. By around 4.200 BC, however, the monsoon retreated south to approximately where it is today, leading to the gradual desertification of the Sahara. The Sahara is now as dry as it was about 13,000 years ago. During periods of a wet or "Green Sahara", the Sahara becomes a savanna grassland and various flora and fauna become more common. Following inter-pluvial arid periods, the Sahara area then reverts to desert conditions and the flora and fauna are forced to retreat northwards to the Atlas Mountains, southwards into West Africa , or eastwards into the Nile Valley. The earliest inhabitants of central North Africa have left behind significant remains: early remnants of hominid occupation in North Africa, for example, were found in Ain el Hanech, near Saïda (c. 200,000 BCE); in fact, more recent investigations have found signs of Oldowan technology there, and indicate a date of up to 1.8 million BC. Some studies have placed the earliest settlement of homo sapiens in North Africa to around 160,000 years ago. North Africa was the site of the highest state of development of Middle Paleolithic flake-tool techniques. Tools of this era, starting about 130,000 BCE, are called Aterian (after the site Bir el Ater, south of Annaba) and are marked by a high standard of workmanship, great variety, and specialization. By the Iron Age, the historic record demonstrated the existence of the Berbers in North Africa from at least 10,000 B.C. While Egypt and Sudan had entered historicity since the Bronze Age, the Maghreb remained in the prehistoric period longer. Some Phoenician and Greek colonies were established along the Mediterranean coast during the 7th century BC. As a result of these geographic influences, the genetic profile of North African populations is a complex mosaic of Mediterranean (European and West Asian) and Sub-Saharan African influences to variable degrees. Anatomically modern humans are known to have been present in North Africa during the Upper Paleolithic, 45,000 years ago, as attested by the Aterian culture. With no apparent continuity, 22,000 years ago, the Aterian was succeeded by the Iberomaurusian industry, whose lithic assemblages bore relations with the Cro-Magnon cultures. The Iberomaurusian was succeeded by the Capsian, a pre-Neolithic culture. Around 9,000 years ago, the Sahara desert entered a wet phase, the Neolithic Subpluvial, which attracted Neolithic peoples from elsewhere in Africa and the Near East. Individuals receive mtDNA only from their mothers. According to Macaulay et al. 1999, "one-third of Mozabite Berber mtDNAs have a Near Eastern ancestry, probably having arrived in North Africa less than 50,000 years ago, and one-eighth have an origin in sub-Saharan Africa. The most probable origin of the proto-U6 lineage was the Near East. Around 30,000 years ago it spread to North Africa where it represents a signature of regional continuity. With regard to Mozabite Berbers, one-third of Mozabite Berber mtDNAs have a Near Eastern ancestry, probably having arrived in North Africa ∼50,000 years ago, and one-eighth have an origin in sub-Saharan Africa. Europe appears to be the source of many of the remaining sequences, with the rest having arisen either in Europe or in the Near East." Expansion of this group of lineages took place around 10,500 years ago in North Africa, and spread to neighbouring population", and apparently that a specific Northwestern African haplotype, U6, probably originated in the Near East 30,000 years ago accounts for 28 percent in Mozabites, 18 percent in Kabyles , but has not been preserved in the southern Moroccan Berbers and accounts for 6-8 percent. Around 16,000 BC, from the Red Sea hills to the northern Ethiopian Highlands, nuts, grasses and tubers were being collected for food. By 13,000 to 11,000 BC, people began collecting wild grains. This spread to Western Asia, which domesticated its wild grains, wheat and barley. Between 10,000 and 8000 BC, Northeast Africa was cultivating wheat and barley and raising sheep and cattle from Southwest Asia. A wet climatic phase in Africa turned the Ethiopian Highlands into a mountain forest. 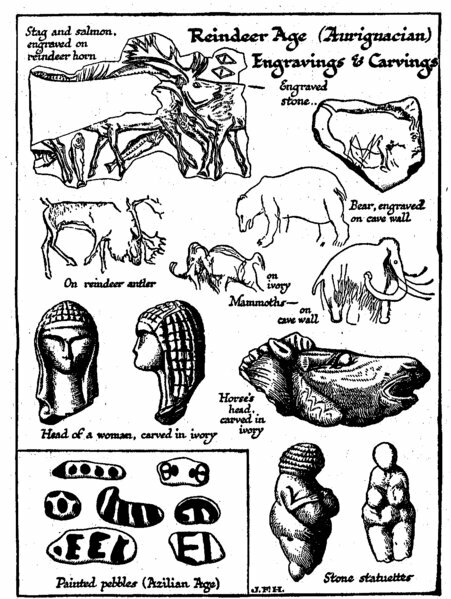 Omotic speakers domesticated enset around 6500–5500 BC. Around 7000 BC, the settlers of the Ethiopian highlands domesticated donkeys , and by 4000 BC domesticated donkeys had spread to Southwest Asia. Cushitic speakers, partially turning away from cattle herding, domesticated teff and finger millet between 5500 and 3500 BC. In the steppes and savannahs of the Sahara and Sahel in Northern West Africa, the Nilo-Saharan speakers and Mandé peoples started to collect and domesticate wild millet, African rice and sorghum between 8000 and 6000 BC. Later, gourds, watermelons, castor beans, and cotton were also collected and domesticated. The people started capturing wild cattle and holding them in circular thorn hedges, resulting in domestication. In Greek mythology, Andromeda was the daughter of Cepheus and Cassiopeia, Greek king and queen of the prehistoric African kingdom of Aethiopia. Cepheus is the name of two Greek rulers of Aethiopia, grandfather and grandson. Cepheus, son of Agenor is the more well-known Cepheus and the grandson of the other Cepheus. Otherwise, Cepheus' father was identified as Belus or Phoenix. If Belus was his father, he had Anchinoe, daughter of Nilus as mother, and Danaus, Aegyptus and Phineus as brothers. He was called Iasid Cepheus, pertaining to his Argive ancestry through King Iasus of Argus, father of Io. Andromeda's mother Cassiopeia boasted that her daughter was more beautiful than the Nereids, the nymph -daughters of the sea god Nereus and often seen accompanying Poseidon. To punish the queen for her arrogance, Poseidon, brother to Zeus and god of the sea, sent a sea monster named Cetus to ravage the coast of Aethiopia including the kingdom of the vain queen. The desperate king consulted the Oracle of Apollo, who announced that no respite would be found until the king sacrificed his daughter, Andromeda, to the monster. Stripped naked, she was chained to a rock on the coast. Perseus was returning from having slain the Gorgon, Medusa. After he happened upon the chained Andromeda, he approached Cetus while invisible, and killed the sea monster. He set Andromeda free, and married her in spite of her having been previously promised to her uncle Phineus. At the wedding a quarrel took place between the rivals and Phineus was turned to stone by the sight of the Gorgon's head. Andromeda followed her husband to Greece. White Aethiopians (Λευκαιθίοπες, Leucaethiopes) is a term found in ancient Roman literature, which referred to various non-Negroid populations inhabiting the Aethiopia region of antiquity. The term is used by Pliny the Elder, and is also mentioned by Pomponius Mela, Ptolemy and Orosius. Do not, however, agree on the geographical location of the White Aethiopians. The 10th-century traveller Ibn Hawqal describes a similar situation among the Berber, which Richard Smith suggests reflect "a real event, the absorption of tribes" from Ethiopia. Pliny the Elder wrote in section 5.8 of his Natural History that: "If we pass through the interior of Africa in a southerly direction, beyond the Gætuli, after having traversed the intervening deserts, we shall find, first of all the Liby-Egyptians, and then the country where the Leucæthiopians dwell." Oric Bates notes that Ptolemy wrote of the White Aethiopians and the Melanogaetulians, and compares this to the mention by Orosius of the "Libyoaethopians". "These descriptives are good evidence of the ancient opposition of whites and blacks in the Sahara, and of their fusion. Pomponius Mela wrote, in Frank E. Romer's translation, that "On those shores washed by the Libyan Sea, however, are found the Libyan Aegyptians, the White Aethiopians, and, a populous and numerous nation, the Gaetuli. Then a region, uninhabitable in its entire length, covers a broad and vacant expanse." The Leukaethiopes, "literally, 'white Ethiopians'" could also, Smith suggests, be described as "white black men", since in ancient times "the term 'Ethiopian' referred to skin color ". Both Herodotus and Strabo "speak of two Ethiopias, one eastern, the other western". Strabo also said that the ancient Greeks "designated as Ethiopia the whole of the southern countries towards the ocean", not just a region near Egypt. Ephorus asserted that the White Ethiopians came from the Far East. Philostratus claimed that "The Indians are the wisest of mankind. The Ethiopians are a colony of them". Edmund Dene Morel , writing in 1902, confirms that both Ptolemy and Pliny speak of the "Leucæthiopes", but believes that Ptolemy places them "in the neighbourhood of the Gambia", whereas Pliny places them "a couple of degrees farther north". 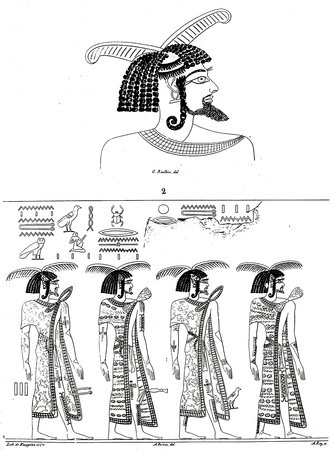 Morel then speculates on who those "light-complexioned 'Africans'" could have been; he believes they could not have been Arabs , while (Morel argues) the Berber were well-known to Pliny's source people, the Carthaginians, so they would have recognized Berbers if they had met them; so Morel concludes that the "Leucæthiopes" were Fulani, African tribe. Richard Smith reports that "historians often assume" that both Leukaethiopes and Melanogaetulians "were of mixed race", or perhaps of some combination of race and culture: the Leukaethiopes on this suggestion, he writes, "were whites who lived in an Ethiopian-style culture". Haegap Jeoung, writing of the attitude of Homer and the ancient Greeks, suggests that "the Ethiopians take their place as the other of the [ancient] Greeks, regardless of their skin color. Remarkably, there are white Ethiopians. The Fula people or Fulani numbering between 20 and 25 million people in total, are one of the largest ethnic groups in the Sahel and West Africa, widely dispersed across the region. The Fula people are traditionally believed to have roots in Mediterranean peoples from North Africa and the Middle East, who later intermingled with local West African ethnic groups. As an ethnic group, they are bound together by the Fula language and their Islamic religious affiliation, their history and their culture. A significant proportion of the Fula a third, or an estimated 7 to 8 million are pastoralists, making them the ethnic group with the largest nomadic pastoral community in the world. The majority of the Fula ethnic group consisted of semi-sedentary people as well as sedentary settled farmers, artisans, merchants and nobility. Inhabiting many countries, they live mainly in West Africa and northern parts of Central Africa, but also in Chad, Sudan and regions near the Red Sea. Known as one of the three "white"-rooted ethnic groups in West Africa, they typically have a lighter complexion than most Africans. The ethnogenesis of the Fulani people may have begun as a result of interactions between an ancient West African population and North African populations such as Berbers or Egyptians. They likely reflect a genetic intermix of people with West African, North African and Arabian origins, and have been a part of many ruling dynasties particularly in the Sahel and West Africa. The earliest evidence that shed some light on the pre-historic Fulani culture can be found in the Tassili n'Ajjer rock art, which seem to depict the early life of the people dating back to 6000 BCE). Examination of these rock paintings suggests the presence of proto-Fulani cultural traits in the region by at least the 4th millennium BCE. Tassili-N'Ajjer in Algeria is one of the most famous North African sites of rock painting. Paul Riesman, an American ethnographer who resided among the Jelgooji Fulɓbe of Burkina Faso in the 1980s, states that the Fulɓe are tall, slim, and light-skinned; they have thin straight noses, and their hair tends to be long and curly. Fula society features the caste divisions typical of the West African region. The Fulani people have held on to "a strict caste system". The Fulani castes are endogamous in nature, meaning individuals marry only within their caste. The Fulani follow a code of behavior known as pulaaku , which consists of the qualities of patience, self-control, discipline, prudence, modesty, respect for others (including foes), wisdom, forethought, personal responsibility, hospitality, courage, and hard work. The four major castes, states Martin Kich, in their order of status are "nobility, traders, tradesmen (such as blacksmith) and descendants of slaves". Αναρτήθηκε από ΕΛΛΗΝΙΚΗ ΙΣΤΟΡΙΑ ΚΑΙ ΠΡΟΙΣΤΟΡΙΑ - GREEK HISTORY στις 9/17/2017 09:51:00 π.μ.